(How a self trained artist found the courage to became a painter) Jennifer Lake Interview – Ms. Lake is an extremely successful self taught artist who has a large following in Japan and elsewhere around the world. (How 13 year old Julien hopes to help others)– Julian Leitner is a 13 year old philanthropist from Portland who founded his own charity to help others. (Why Phillip Gulley, a Quaker pastor, rides his bike everyday) Phillip Gulley’s Porch Talk has written 17 books and sold over 1.5 million copies. He did this piece for Indiana PBS and has agreed to work with us when we find a viable outlet for our show. We did not produce this piece, but were given permission by Mr. Gulley to include it in this pilot piece. His books are in print and his videos can be found throughout the Internet. Just type in Phillip+Gulley+videos. At this time we do not hold copyright to the Two Wheeled Wisdom Story. (A black homeless transgender woman makes a video about domestic violence) Portland’s Outside In homeless program produced the Flowers Segment, and Executive Director Nili Yosha allowed this sample piece to be included in our Snippets Pilot. She is open to producing material segments with us. Flowers copyright is with Outside In, a 501C3 charity. 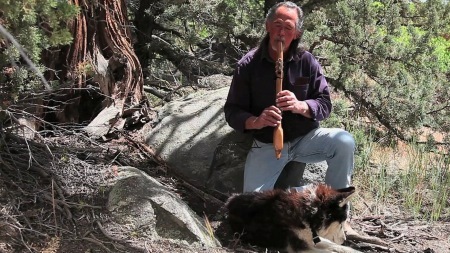 (This segment shows beauty and craftsmanship) and how a Native American flute maker chooses wood to make incredible flutes. A short video adaptation of Remembering All the Boys, a This I Believe essay by Elvia Bautista as found at thisibelieve.org. Copyright ©Elvia Bautista 2006. Story used with permission of This I Believe, Inc. All rights reserved. Video rights Copyright ©Northwest Film Projects 2012. Used with permission only. All rights reserved. Nielsen estimates Americans currently spend an average of 32 hours 47 minutes a week watching traditional TV and 27 minutes a week watching video on-line. At present video streaming has only 1.4% of the TV market, but advanced cell phone technologies may soon change that. The collapse of the movie industry in 1950 with the arrival of TV is but one example of how fast technology can alter the status quo. The television industry is already setting down the foundation for web based broadcasts, making video streaming a 2nd delivery system at many TV stations. Google has entered the game, investing $100 million on You Tube to develop specific TV- Web programming. The signs of web networks evolving from television abound, but reaching web audiences requires a far different approach to the structure of show content. The mediums are different. A web viewer often seeks short programs and flash stories to consume quickly. Web videos offer quick access to thousands of flash stories, and often throw the viewer into content overload, (like experiencing too many commercials on TV). The on-demand nature of Internet streaming has its attractions, but the huge number of choices may account in part for the low 1.4% time use for watching videos. In any case the medium of the Internet will not only demand better codecs to run the technology, but force traditional TV program formats to change as well. TV is often watched at home, with waves of images passing over the viewer. Cell phone watching is not passive, but interactive and often takes place at a bus stop, the doctor’s office, or at a restaurant. Unlike TV watching, web videos require the watcher to block out adjacent demands of email, banner ads,or pop ups. They make the experience of watching short, interruptive, and busy. 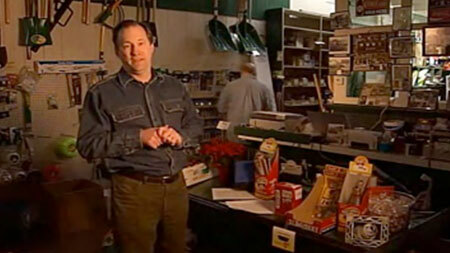 TV commercials interrupt, but we know they come in flowing segments. But on the Internet ads are relentless, unexpected, and making the experience disruptive; while the program flow of television allows us to daydream. TV and the web may both broadcast the same video, but the content experience will be different. One is modular, the other isn’t. To reach You Tube audiences on the web means creating short modular programs that run under five minutes; the web users average watch span. Flash stories, and flash pictures are a better fit to web audiences constantly bombarded by pop-ups and messages. Television, if it wants to make contact with web audiences, needs to build modular programs that can be merged together for long form programming. Pawn Stars does this as do many other reality based series, which seem to have audiences watching on both TV and the web. It is this approach to programming that Snippets wants to follow – grouping small modular programs together to form both TV programs and short Internet flash story programs. Snippets is a 30 minute reality series aimed at the traditional TV audience and the Internet audience. The construction differes from long format shows by incorporating modular design in its architecture. Instead of building a show on a single story line, Snippets is built up from mini-stories up to produce an overall long format packaged theme. Modular programing is less expensive than linear TV because we can changes a module to fix a show. For example, in a TV series, if performance is substandard or the story poorly done, the entire show suffers and fails. A modular show like Snippets, in which no one story controls the entire show, allows for replacement of any one of its failed short segments with an unique alternative module. Program content restructuring no longer means starting from scratch, rather it means replacing a failed performing module with a better module. To make changes doesn’t mean tossing out an entire show due to a failed segment . On the positive side, modular programming allows for nearly instant market changes and content adjustments and allows for what might have failed ten years ago to be fixed on the fly, making it less expensive to change show content. Street Chatter People’s random opinions from Apples to Zoology. Stage 13 Featured Guest Interviews on How & Why they do what they do. Examples: sewing, photography,toy trains, pin cameras, art, hobbires, crafts, pet tips, etc. Pass It On Social non-profits events & causes. Animal care to Soup Kitches. Fundraisers, free item give-a-ways public medical events. Interviews with people who freely give their time and energy to make this community a better place to live. Joy of croquet, Back Rubs, Old mining towns, Remote Locations, Rural higlights, Places to See. their jobs and how they are treated by the people they serve. Streetcar drivers, Taxi Stories, and humorous anedotes. Art of the Ordinary Stain glass, photography, street art, folk art, living simple, square dancing, Everyday Objects. Would like someone like Kiki Palmer as Snippets needs a narrator to open and close each show for continuity. That person needs a sense of dry humor sophistication, like interviewing and flash story telling for the open. These short-shots will be funny, sad, sincere, and sometimes moving. We hope this person has the talent to deliver off the cuff remarks and has the depth of intelligence this type of presentation needs. In the 1950s Loretta Young opened and closed her own Anthology Show, as did Alfred Hitchcock and Rod Sterling. They all narrated opening flash stories and we hope to do something similar with Snippets. We have been speaking with Quaker Minister Philip Gulley who writes and narrates stories that have an Americana flavor. Sort of Lake Wobegon meets On the Road with Charles Kuralt. His stories are funny, sad, hopeful, and sometimes philosophical, even ethical. Mr. Gulley would be a show regular appearing every week or every other week. 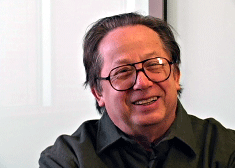 He has authored 17 books, narrated and written his own TV show for PBS Indiana, and is a great on camera talent. We believe his involvement critical to the success of Snippets. He has sold 1.5 million+ books nationally. We have spoken with him on several occasions regarding Snippets, and he is interested in joining forces with us. If the show were to happen, we see being able to use him by scheduling six consecutive interviews at a time. We could either fly him to Portland or fly me to Indianapolis to film him green screen format. We are in contact with the acquisition people at the This I Believe organization in Kentucky and have given us temporary permission to show Remembering All the Boys as a Snippets sample story based on a true event. The organization has experience with NPR Radio, the Edward R. Murrow foundation, and is a 501C3 non-profit devoted to furthering the mission of This I Believe. They have recorded thousands of individuals and the content of their work should be shown on television. I hope will consider the positive results of our joining forces with their organization. Our hope is to make This I Believe a weekly or bi-weekly Snippets segment using material from the This I Believe archives that we would adapt for video in the way we did with their Remembering All the Boys. is a 501C3 non-profit involved in video storytelling for the homeless. Other organizations producing audio- videos for local consumption are the Portland Art Museum, Hollywood Theater, and local colleges . 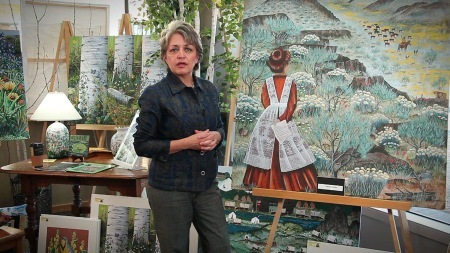 The Art museum produces The Story of Objects, a Snippets like project that has wide appeal. One vision we have for Snippets is making deals with these “indie” producers so we can broadcast the best of their shows within the Snippets environment. This would give Snippets an interactive element that would enhance audience appeal on both the TV and Internet. Flowers is one example of this that was produced by the Outside In non-profit. It was was directed by a local homeless transgender woman who not only is talented, but delivers a strong message to battered women and needs to be seen. With Snippets we hope to gather and capitalize on new digital technology in a way that makes life affirming, entertaining, and hopeful. Snippets is a positive presentation of life designed to intrigue us, be thought provoking, and ultimately elicit a feeling of “I’m glad I watched that.” May you join with us on this journey. Phillip Gulley – Philip Gulley is a Quaker pastor and beloved writer and speaker from Danville, Indiana. 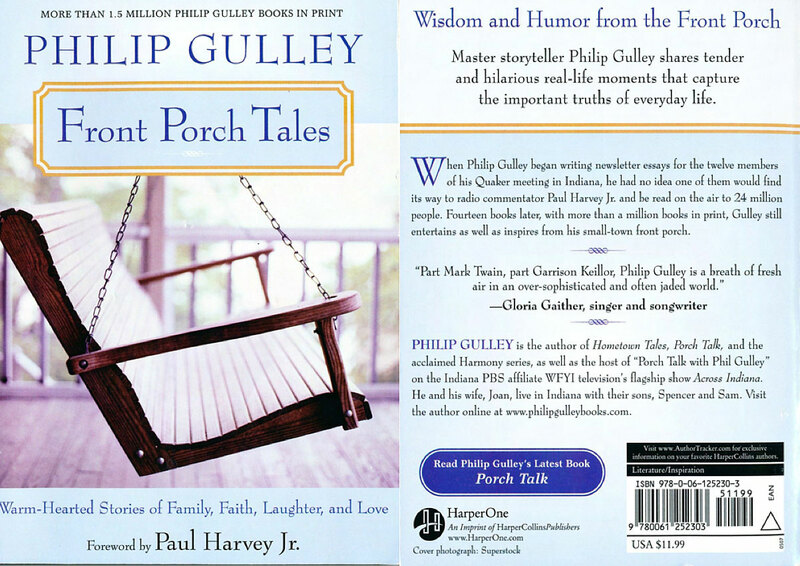 An eclectic writer, Gulley has published 17 books, including the acclaimed Harmony series chronicling life in the eccentric Quaker community of Harmony, Indiana and the best-selling Porch Talk series of inspirational and humorous essays.Gulley’s memoir,I Love You, Miss Huddleston: And Other Inappropriate Longings of My Indiana Childhood, recounts his coming-of-age years in Danville, Indiana. In addition, Gulley and co-author James Mulholland describe their progressive worldview in their books, If Grace Is True and if God Is Love, followed by Gulley’s book If the Church Were Christian Gulley is currently the the pastor at Fairfield Friends Meeting near Indianapolis.Additionally, he hosted the television program Porch Talk with Phil Gulley on the Indiana PBS affiliate WFYI and their flagship show Across Indiana, for which he received two Emmy® Awards. He also writes the popular monthly Home Again column for Indianapolis Monthly and is a regular contributor toThe Saturday Evening Post. In 2010, Christian Theological Seminary awarded Gulley an honorary Doctor of Humane Letters degree. This I Believe – This I Believe, Inc., was founded in 2004 as an independent, not-for-profit organization that engages youth and adults from all walks of life in writing, sharing, and discussing brief essays about the core values that guide their daily lives. This I Believe is based on a 1950s radio program of the same name, hosted by acclaimed journalist Edward R. Murrow. Each day, Americans gathered by their radios to hear compelling essays from the likes of Eleanor Roosevelt, Jackie Robinson, Helen Keller, and Harry Truman, as well as corporate leaders, cab drivers, scientists, and secretaries — anyone able to distill into a few minutes the guiding principles by which they lived. These essayists’ words brought comfort and inspiration to a country worried about the Cold War, McCarthyism, and racial division.In reviving This I Believe, executive producer Dan Gediman said, “The goal is not to persuade Americans to agree on the same beliefs. Rather, the hope is to encourage people to begin the much more difficult task of developing respect for beliefs different from their own.”Selected contemporary This I Believe essays were featured in regular broadcasts on National Public Radio (NPR)in the United States from 2005 to 2009, in a series produced and hosted by Jay Allison. Essays are now featured in weekly broadcasts on satellite and public radio shows hosted by Bob Edwards. In addition, the Canadian Broadcasting Corporation (CBC) aired essays from Canadians in 2007. In 2005 and 2006,USA Weekend invited its readers to participate in our project and published selected essays from their readers. 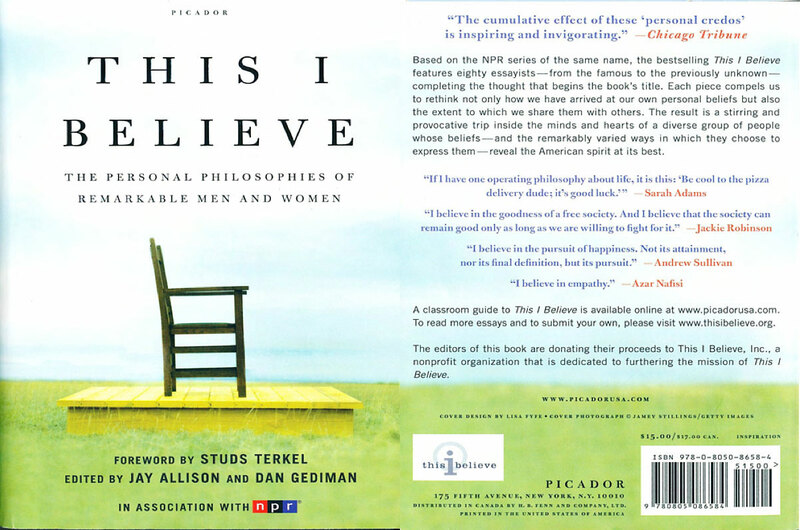 Numerous local public radio stations, newspapers, and magazines have featured essays from citizens in their communities.This I Believe, Inc., in partnership with Henry Holt and Company, has published two books collecting essays featured in the NPR series. The first book, This I Believe, was published in 2006 and became a New York Times bestseller in paperback, while the second volume, This I Believe II, was published in 2008. In addition to collecting these essays for posterity, the books have become popular with “one book, one community” projects. In partnership with publisher John Wiley & Sons, This I Believe is publishing a new series of books, each on a particular theme:This I Believe: On Love (2010), This I Believe: On Fatherhood (2011), This I Believe: Life Lessons (2011), and This I Believe: On Motherhood (2012).Teachers around the country—and around the world—have embraced This I Believe as a powerful educational tool. They have downloaded their free educational curricula, posters, and brochures for using This I Believe in middle and high school classrooms and in college courses. These curricula help teachers guide students through exploring their beliefs and then composing personal essays about them. The students learn about themselves and their peers, and experience the delight of realizing their views and voices have value.You can support the work of This I Believe by making a tax-deductible contribution. We are grateful to all of the Friends of This I Believe who make this work possible. Outside In Portland, OR Outside In began in 1968, and has continually revised our Homeless Youth Services and Medical Services to meet changing community needs. Our mission is to help homeless youth and other marginalized people move towards improved health and self-sufficiency. We are Service providers and advocates. Experts in understanding adolescents. A Federally Qualified Health Center. A licensed Mental Health Agency. Leaders in serving GLBTQ youth. We believe in dignity, hope, and resiliency. In innovation. Our clients can get through current challenges.Young people need trusting adults to thrive.In meeting people where they are.In a strengths-based approach.For the second year in a row Outside In’s Guerilla Theater youth have created films about issues that are important to them. Young filmmakers, who have experienced homelessness, participated in an intensive film internship in an effort to inspire and educate their peers and the community. This years films boldly deal with domestic abuse, mental health, stigma and more in genres ranging from documentary to music video. Northwest Film Projects is an e-film company involved in the the acquisition, development, and production of rural stories and documentaries for Theatrical, Television, Internet and DVD release. We seek entertainment media projects that exalt themes of moral excellence, social responsibility, unselfish behavior, and respect for others (tolerance). We believe in the power of stories to educate, uplift, and preserve cultural values. Movies & Videos are more than mere popcorn, they reflect the values, ideals, and behaviors of a society. When we watch them we learn about ourselves and our past. NFP is committed to bringing positive, enlightening messages to children, adolescents and adults through the visual arts. There is much literature citing the correlation between violent television and film images and aggressive behavior. In order to create media that addresses conflict resolution in lieu of violence as a solution to social conflicts we need to nurture and support films that value the human soul and strengthen the human heart. Media Professional and Creative Entrepreneur. Founder/Director, Portland’s premiere digital marketing conference, pdxDMC. Hired/mentored 40 expert instructors from companies such as Anvil Media Inc, Liquid Agency, Intel, Mambo Media in digital media program. Career consulting in current digital skills. Member Oregon’s Creative Economy Council, WebVisions Advisory board, Board of Directors (international media nonprofit), local TV pilot segment producer. Fluent in Italian/French. Design, develop and manage cutting-edge digital media self-support courses, conferences and certificates, including non-credit/graduate/undergraduate curriculum, manage $500k budgets, oversee program assistants, instructor training, career advising to over 700 students, nonprofit project development, wide networking with industry associations and businesses. Produce media, including research, project planning, script writing/directing, editing including digital effects and computer animation. Design of website architecture and User Experience. Instruction in video production, including preproduction, production and post-production process, review of audio capture and edit, digital effects and storytelling. Executive admin team at the School of Dentistry and Child Development & Rehabilitation Center. Public relations and office management, organizational skills, leadership, systems review and development, media production. Director of Photography, Gaffer and Lighting Director in the Motion Picture & TV industry with over 60 Feature Films and TV shows. Since early childhood, lighting and camerawork has always been his fascination and specialty. Owen entered the industry as set electrician on Superman in England. He continued to work alongside some of the best known Hollywood cinematographers in the industry as Gaffer on feature films & TV shows. Owen worked as camera operator and Director of Photography on numerous independent feature films and TV commercials, working primarily in New York, Miami, and Hollywood. National Association of Broadcasters, 2003 PampaliteTM selected by GSA Awards Inc. I am a video editor, director, and motion graphics artist with proficiency in Final Cut Studio and Adobe Creative Suite. After graduating from USC’s film production program in 2007, I worked in production on several features and directed commercials for the Brewhouse Studio, a local creative agency. Since 2010, I’ve focused exclusively on post-production, and have become fluent in current digital post-production workflows and protocol.